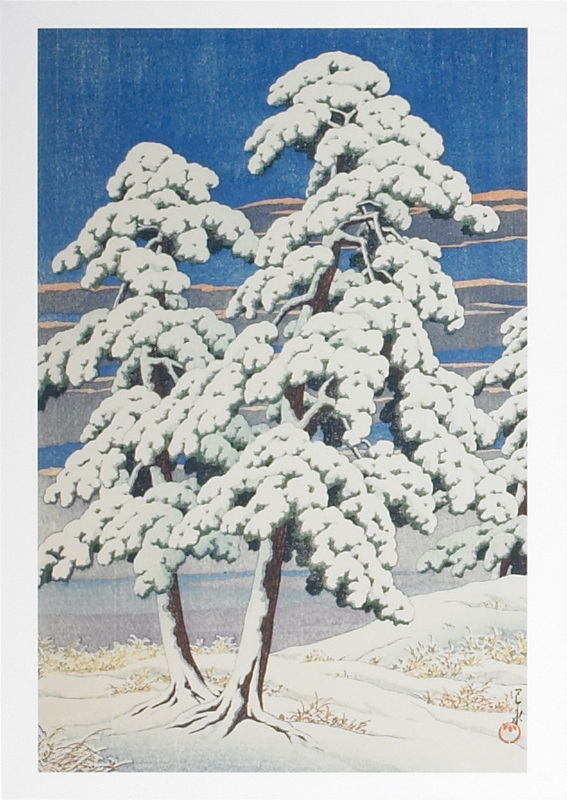 Pine Tree After Snow by Kawase Hasui (1929). New Years is a good time to sit back and reflect on recent accomplishments and events. 2014 has been a big year for the field of Chinese martial studies. We have made progress in some areas, but there is still room for growth in others. Likewise we have seen quite a bit of reporting on the Chinese martial arts in the press, including the emergence of a couple of suggestive trends. Below is my personal countdown of the top dozen news stories that had the greatest impact on the world of the Chinese martial arts in 2014. Some of these stories made a big splash during the year, others were less well reported. A few are general patterns that appeared over the course of many months and one or two are just for fun. Collectively they remind us of where we have been and point to a few places that we might be headed in the coming year. Barrowman is a native of Chicago and did his undergraduate work at Columbia College, after which he completed the Master of Arts Program in the Humanities at the University of Chicago. He contributed to and edited the film criticism website, Film Monthly (www.filmmonthly.com), from 2011-2013. Readers can also find his scholarly writing at https://cardiff.academia.edu/KyleBarrowman. Congratulations, and we look forward to hearing more from Kyle here at Kung Fu Tea in the coming months! Now, on to the stories that shaped 2014. The social organization of the traditional Chinese martial arts are basically generational in nature. Each generation learns from the last. As one enters, another leaves the stage. A reverence for this process is built into the very DNA of these social systems. On some level it seems that the Chinese martial arts have been created with the explicit purpose of honoring and remembering those who went before (much like any sort of lineage system). It seems to appropriate to begin any discussion of the last year by remembering a few of the masters whom we have lost. Given the size of the martial arts community it is not possible to list every teacher who has passed on. Yet with this blog’s focus on Wing Chun, I should at least point out two important losses within that community. Chu Shong Tin and Lun Kai, both early students of Ip Man (one from the Foshan period and the other from Hong Kong), died earlier this year. Both of these individuals had given a number of interviews during their later years offering current students a fascinating glimpse into an earlier generation of Wing Chun instruction. The loss also inspired multiple discussions of their contributions to the Wing Chun clan. The Chinese martial arts community also lost a number of other individuals including James Wing Woo and James Cama over the last year. Their presence will be missed but their contributions will live on. 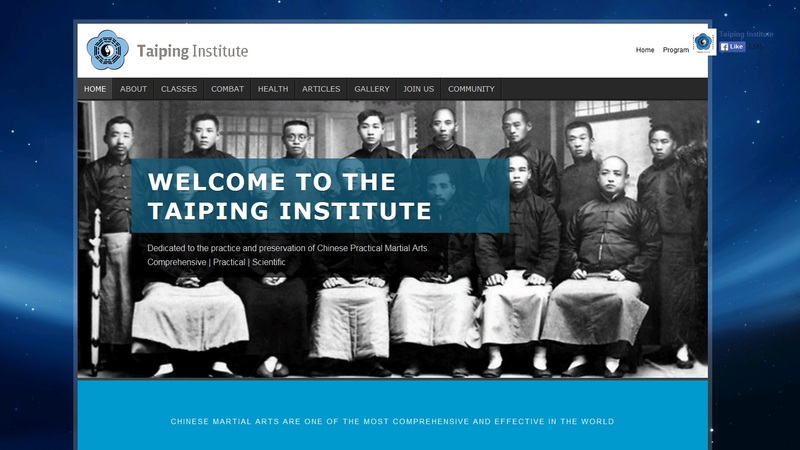 A screen shot of the new Taiping Institute Webpage. On a much happier note, the Taiping Institute now has a sharp new webpage. While they continued to update their Facebook group, many readers will have missed their information packed homepage. This group has become an excellent source for folklore, historical research and technical discussions of a wide variety of traditional Chinese fighting systems. Its great to have them back on line. While discussing the world of on-line scholarship, have you checked in at the Brennan Translation blog recently? If not, be sure to head on over. It has released a number of fascinating translations of classic Chinese martial arts texts over the last year. While you are at it, head on over to the International Guoshu Association Facebook group to see what they have been up to. Hing Chao has had a busy year including sword shows, new articles, books and even a massive motion capture project. 2014 has been an exceptionally good year for the development of on-line research tools. A detail of the restored Qing era murals at the Shaolin Temple. Over the last year we have seen too many news stories about the Shaolin temple to count. But one report in particular stood out to me because it focused on the New York City branch of the order, located in Queens. Earlier this fall the New York State Department of Labor found Shi Guolin guilty of underpaying two Chinese martial arts instructors at his temple as well as other labor violations. For his part Guolin argues that Shaolin martial arts instructors are essentially religious professionals and are therefore exempt from normal labor laws and business practices. So far New York State does not seem to be buying this, but I suspect that the ultimate resolution of this question (as with so many others surrounding Shaolin) will come down to whether the “martial monks” teaching at the temple are actually religious professionals at all, or simply athletes employed by the religious order. There has always been a lot of (somewhat intentional) confusion on this point. I suspect that this action is going to bring this issue into much sharper relief and limit who the Shaolin order can label as a “monk” in the United States. Bruce Lee was one of the top stories in our roundup of the news in 2013. Given the flurry of activity set in motion by the 40th anniversary of his death that is not a surprise. Things have been calmer in 2014, but the Little Dragon is still making his presence felt. Popular Mechanics ran an incredibly popular story discussing Lee’s famed “1 inch punch” that got readers talking. Nor can we forget the opening of a new museum exhibit dedicated to his memory or his surprisingly well received Off Broadway debut. Still, for martial artists the most important Brucee Lee story of the year was the release of Tommy Gong’s much anticipated biography Bruce Lee: The Evolution of a Martial Artist. Gong himself is a Jeet Kune Do student with rock solid credentials. 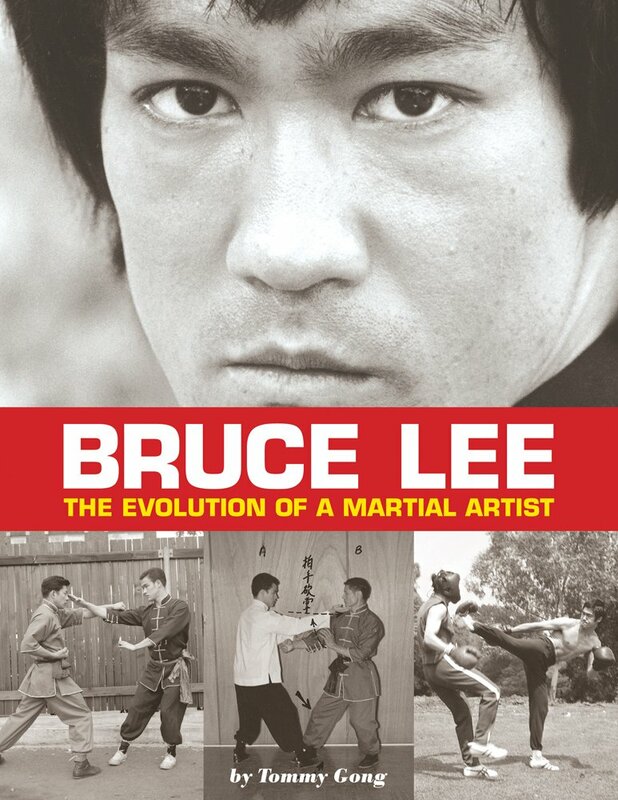 Rather than taking on the entire narrative arc of Lee’s life he instead focuses on the evolution of his understanding of the martial arts, and how that evolved over the course of of his too short career. This is a critical aspect of the Bruce Lee story that other biographies have not been as well equipped to tackle. Is it the perfect Bruce Lee book? You can read my review of it here. Anyone following the Chinese media will know that there has been a fair bit of discussion recently of plans to restructure and review the funding of the military. As one might expect the these actions are being framed as an attempt to update the PLA’s capabilities while ensuring that the Chinese state is getting the maximum bang for its buck. This discussion of budget rationalization is already having an impact on some aspects of martial arts training and performance in the PLA. The Chinese military has traditionally maintained a number of different sorts of demonstration teams. Some of these have been made up of martial arts (many of whom are presumably graduates of the nation’s numerous Wushu high schools). In addition to more conventional sorts of martial arts demonstrations, these individuals are also skilled in feats of “hard qigong.” The demonstration of these specialized skills had become something of a hallmark of the PLA. But it looks like that tradition is coming to an end. In an era of increased belt tightening and a drive towards modernization, martial arts demonstrations are set to be phased out. I think that this is one of those stories that readers may want to watch for future developments. “Hard Qigong” demonstrations tend to not be very popular with traditional martial artists in the West, so I doubt that many individuals will feel all that much of a loss. Still, the Chinese military sector has been a major supporter of the martial arts and employer of the graduates of the various Wushu schools. 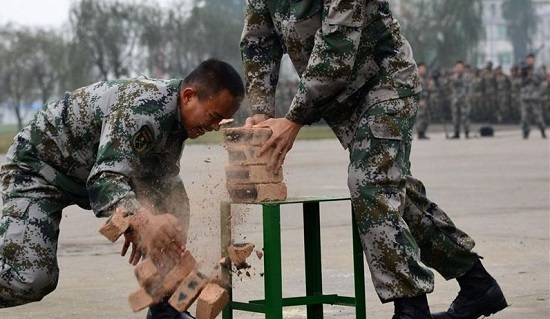 It remains to be seen whether this is a single limited budget decision, or if its signals a broader judgement about the value of Wushu training in the modern Chinese military. 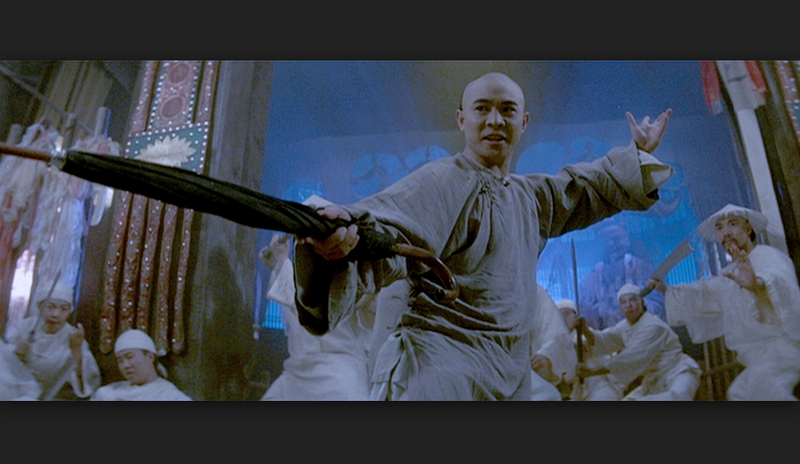 Jet Li as Wong Fei Hung with his trademark umbrella. News of Hong Kong’s “Umbrella Revolution” dominated the internet for much of the fall. These events touched on a number of critical questions about governance, political culture and local identity. While the southern Chinese martial arts never became a central organizing symbol in these events, it was inevitable that they they would be pulled into the discussion in various ways. Perhaps the most surprising of these focused on the practical and symbolic value of the ubiquitous umbrellas which protesters used to shield themselves from both the weather and tear gas. In an attempt to discredit the largely peaceful nature of these protests local politician Leung Che-cheung claimed that umbrellas carried by the crowds were by their very nature aggressive weapons and that the police and local government therefore had a responsibility to stop the protestors. To support this position he pointed to the repeated use of umbrellas as improvised weapons in Hong Kong Kung Fu films. Wong Fei Hung, in particular, has come to be known for the use of an umbrella as a defensive tool through the films of Jet Li and Kwan Tak-Hing. Mr Pang Chi Ming, a fourth-generation descendant of Master Wong, told the Apple Daily that Mr Leung’s remarks were “a total insult to Chinese martial arts and the master”. 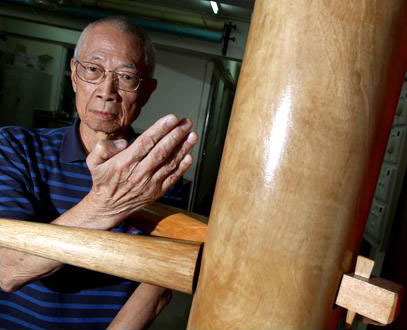 “An umbrella is used for self-defence in real gongfu, and is not an aggressive weapon,” said Mr Pang, who lives in Hong Kong and has been practising gongfu for more than 50 years. “Every pose in the ‘Dragon-Tiger umbrella’ set was invented for self-defence rather than attack,” he said of the style which first emerged in the 18th century and was made famous by Master Wong, who lived from 1847 to 1924, in Guangdong. Occupy protesters appear to have better comprehended Master Wong’s wisdom, he added. “They just use the umbrellas to protect themselves from pepper spray, not to attack the police,” said Mr Pang. 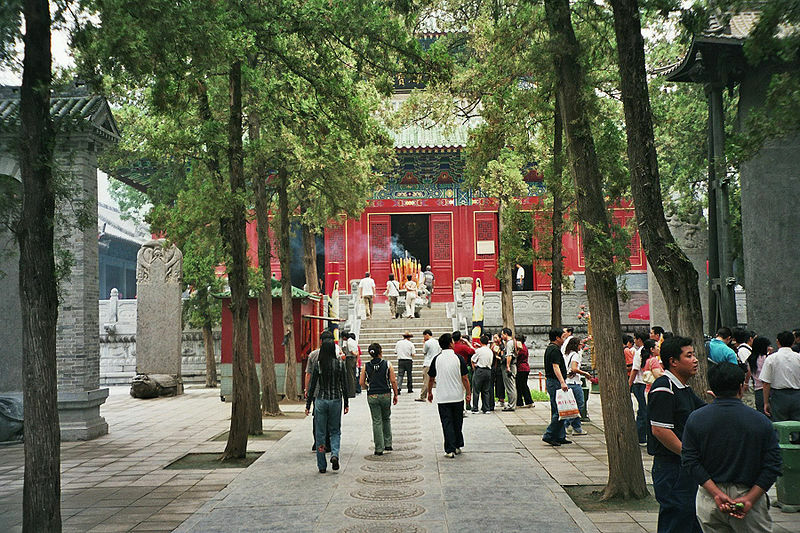 Tourists at the Shaolin Temple. Henan, 2012. Source: Wikimedia (CC). The Hennan location of the Shaolin Temple has been in the news almost continually throughout 2014. Readers may recall their public spat with Matthew Polly (author of the widely read American Shaolin) or the announcement of job openings for “brand builders” to help with their marketing. Yet the most serious news story about the temple focused on the eruption of a long simmering dispute between the monastery, the local government, and a property management company. For some time it has been rumored that the sanctuary has been embroiled in conflict with its “management company” which is ultimately responsible to the provincial government in Henan. The dispute centers around what percentage of the daily ticket sales goes to the temple vs. the management company (and ultimately state officials). Under the terms of the original contract the temple was supposed to get around 30% of the revenue, while the rest went to the management company and the state. Earlier in the year temple personal began to publicly claim that they were not receiving their cut and even seized control the ticket booths for a short while. Shaolin has now launched a lawsuit accusing its management company of flagrantly violating its contractual obligation. The management group has responded to these public accusations not with denials, but by questioning what a group of Buddhist monks could possibly “need” so much money for, and whether it would really be in the public’s best interest to turn it over to them, signed contracts not withstanding. As one might expect, the public has been quick to weigh in on the controversy, asking their own pointed questions as to why public officials could possibly “need” this much money, and noting that if admission to temple was made free, the problem would be resolved. Who knows how this one will play out, but I don’t expect to see free admission tickets any time soon. Disputes between local communities and outside contractors who have won the right to provide public services and collect fees are pretty common across China right now. Apparently not even the Shaolin Temple is immune. Working class patrons of a stall selling (or renting) sequentially illustrated martial arts novels. This 1948 AP photo. 2014 has been a good year for Martial Arts Studies. A number of papers and books have been published, academic conferences were announced, and CFPs were sent out. A quick search of the archives will turn up a number of announcement on this subject. One of the developments that I was the most excited about was the release of the JOMEC journal special edition dedicated to martial arts studies. Edited by Paul Bowman, this issue contained articles written from a variety of disciplinary perspectives and approaches. Authors included Douglas Wile, Adam Frank, Daniele Bolelli and myself among many others. Best of all, it can be accessed for free by anyone with an internet connection. Hopefully we will be seeing more of this in the coming year. Mr Bean Wins the Wing Chun Dummy, courtesy Snickers and Youtube. 4. Mr. Bean Takes on Kung Fu! I am sure that you are all familiar with the adds for Snickers candy bars in which the public is informed that a chronic lack of peanuts and chocolate may result in one’s spontaneous transformation into a comedian. In 2014 Mr. Bean joined the advertising campaign. Of course he brings his own unique style to project, and demonstrates in no uncertain terms what the dangers of doing of Kung Fu on an empty stomach might look like. It also turns out that he even has an incredible wooden dummy routine! In fact, he has stared in an entire series of shorts which are as relentless as they are hilarious. This is not Rowan Atkinson’s first foray into the world of the martial arts. He has been mining the comic potential of this material for years. Click here to see what I consider to be the best of these efforts. I love the juxtaposition of the eloquent promises of cosmic transformation with the jarring reality of the small personal humiliations which seem to be so universal in martial arts training. Of course these advertisements also demonstrate the important place that the Asian martial arts have come to occupy in Western popular culture, as well as their appropriation by a variety of discourses, both commercial and otherwise. Huo Yuanjia, the patron saint of the Jingwu Association. In 2014 China’s various martial traditions were increasingly honored as being an important part of that country’s intangible cultural heritage. 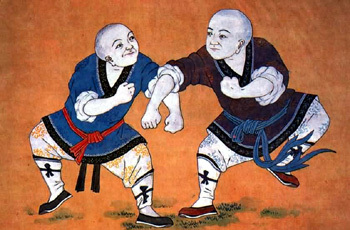 This acknowledgement originated from a variety of sources, and it reveals something important about the changing place of these fighting systems within Chinese popular culture. Students of the Southern arts will probably be most interested in a list released by the Hong Kong government this past June. It detailed over 500 local practices, institutions or unique bodies of knowledge that needed to be preserved. Wing Chun did rather well by this list. It is fascinating to note that three different lineages were specifically acknowledged in addition to the broader category of “Wing Chun.” These are Ip Man Wing Chun, Pao Fa Lien Wing Chun and Snake Crane Wing Chun. Additionally “Weng Chun” was also included on the list but as a separate art (which is correct, though its not uncommon to see it lumped in with Wing Chun). Other regional arts (such as Choy Li Fut) were also acknowledged, and Hung Gar also had multiple lineages singled out for mention. 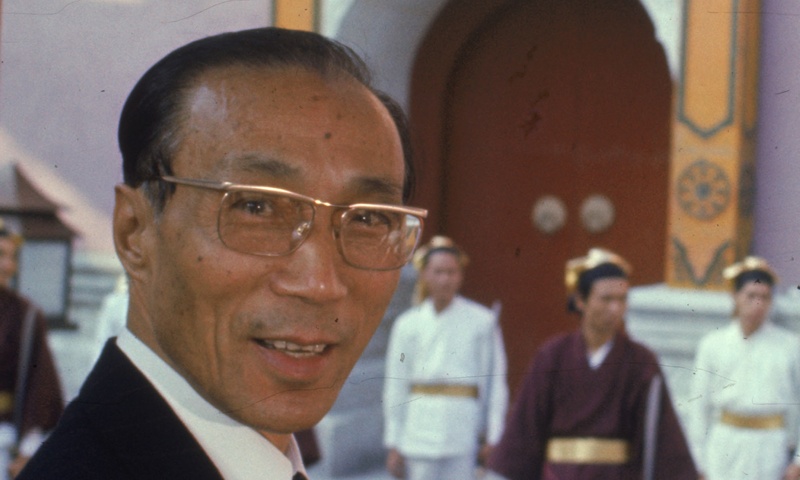 Overall its a fascinating snapshot of how the southern martial arts are situating themselves within the popular consciousness of the citizen of Hong Kong at this moment in history. More recently the national government updated their own list of Intangible Cultural Resources. 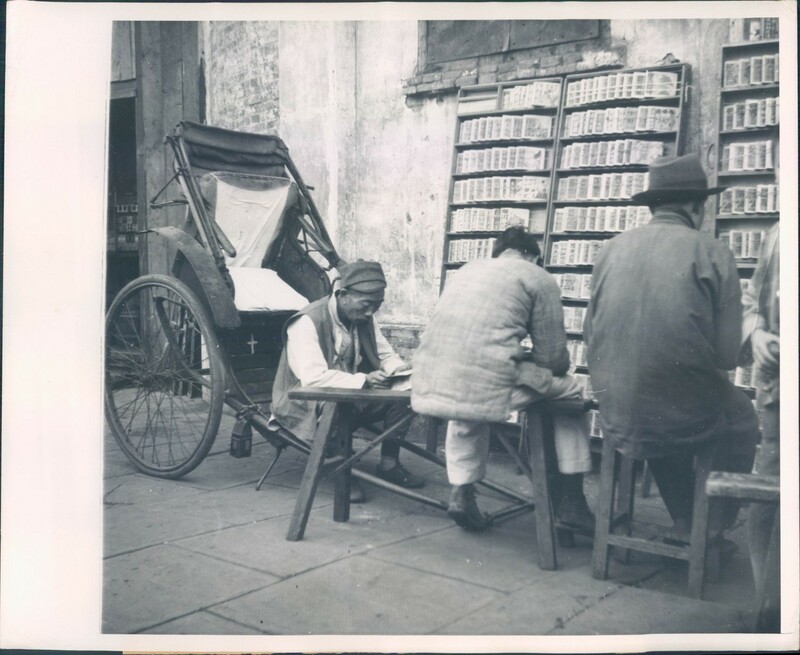 The Shanghai Daily reported that the city’s Jingwu tradition has been recognized as a critical aspect of the national heritage. But not everyone made the cut. One of the big losers in this years selection process was the legendary Daoist sage Zhang Sanfeng. Both the Chen and Yang branches of Taijiquan have previously been included on the cultural heritage registry. Given the global popularity of the art that is not much of a surprise. Readers may recall that moves by the city Shaowu (in Zhejiang province) to give similar recognition to the Zhang Sanfeng style of Taijiquan earlier this year led to vocal protests from other groups within the martial arts community. Leaders of the Chen school have argued quite strenuously that Zhang Sanfeng (at least as he is described within Taijiquan circles) is a legend which obscures Chen Village’s historic role in the creation of the modern Taiji system. 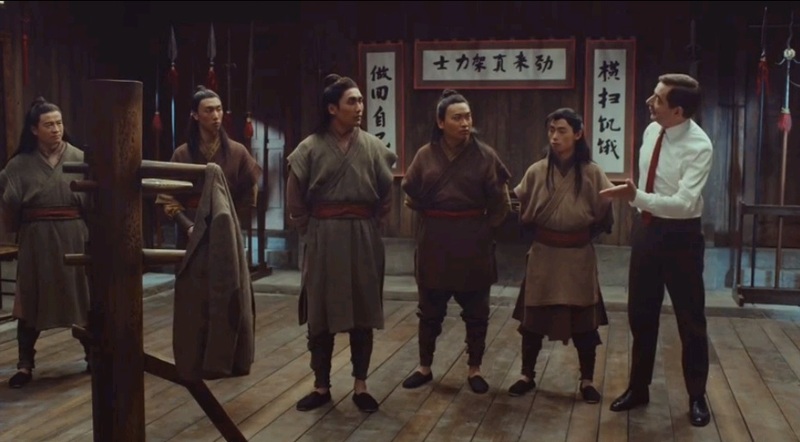 For its part the selection committee claimed that its decision to reject the petition was not biased by the arguments of other martial arts schools, but it is widely thought that Zhang Sanfeng’s largely fictional status counted against the effort. A still from The New Masters. One of the biggest stories of 2014 was the growth of the Mixed Martial Arts within China’s massive combat sports marketplace. Traditionally dominated by Sanda, MMA schools and training camps have been growing in China for years. 2014 was the year when they began to make their presence known through high profile media appearances. Of course not everything has gone smoothly for the various companies attempting to promote the sport. Some of the UFC’s efforts in China were a little rough, and Cung Lee’s revealed that the filming of their much anticipated series The Ultimate Fighter: China was basically a train-wreck. One FC has had better luck, but even for them it has not been smooth sailing. It is now clear that there is a domestic market for MMA in China. We can also expect that the growth of this sport will interact with the traditional martial arts in complex ways. But what form this market will ultimately take is still up in the air. Clearly this will be a story to watch in 2015. Later in his life Shaw became an important philanthropist. He also co-produced Ridley Scott’s science fiction masterpiece “Bladerunner.” The influence of his films can still be seen in the work of directors around the world. Shaw was 106 years old when passed away on January 7th, 2014. Thank you very much for your congratulations, Dr. Judkins, and thank you as well for your cataloging of and contributions to advancements of Martial Arts Studies, which I am eager to follow as 2014 turns to 2015.
encourage yourself to continue your great work, have a nice day!